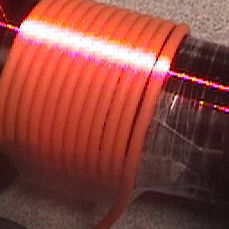 An even and tight winding must be maintained for the automatic winding of glass fiber cables on drums. scanCONTROL 2800 profile scanners are used for monitoring the coiling machine. They monitor the windings on the drum and control the movement components of the machine using the results.